Hey Folks, I’m back with another awesome article and I don’t think that most of you are already know about Network Spoofer App for android. By using this app, you can easily prank your friends with multiple ways. you can change their Google Searches and Redirect their browsing data to any site, flip all the content in websites, Which they are browsing, flip images in your friend’s browser and much more things. this is one of the best app for android phones, If you have rooted your Phone. Previously i was also shared easy Guide about Prank your friends by killing their WiFi Connection Along with Whatsapp Profile Picture So simply checkout for more about this app. So, Guys this is the very interesting app, if you are looking for an easy way to prank with your friends. and one more thing which you need to keep in your mind This app can run in your phone, Only if you have rooted your android Phone already, or you must root your phone for use this app. We were also shared sometime before Easy Guide about Hack Whatsapp account of your friend’s. So guys this is the other way for make fun of your friends by playing tricks with your friends. You can also change your friend’s Google Searched, Flip images on your friend’s Phone or pc, redirect them to custom sites and much more according to you. Read more about this Guide from below for make Fun With Networking Spoofer. Also have a look at – How to Add Recycle Bin in Android For Restore your deleted data. Network Spoofer Apk | Mirror Download. 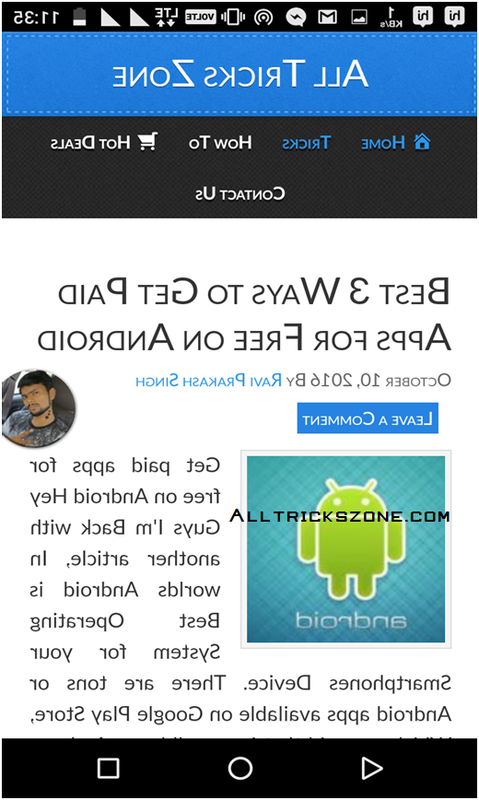 Note: This Article as well app is created for Fun Purposes only for Prank on people, Which you know personally. we will not be responsible for anything wrong happen with you. After the Complete Installation of this app in your phone, now Just Open this app, if it Ask for Root permissions, Simply click On Grant | Allow Button. Then Click on Start Button from this app and it will Open a new List, Same as you see in below screenshot. For Example See here, I have Selected Flip Content from above List, and Select Default Gateway from Next Page, Just Like Screenshot now from below. Now Simply, Select All Device from the Next page, or select your friend’s device so you can identify it via IP Address or Via Mac address. That’s it guys, This was my easy article on How can you use Network Spoofer app for make fun with your friend remotely, Keep visit here for more trick like this. you can feel free to comment below if you face any problem while following this tricks with Full Guide. your phone must be rooted for follow this guide, but your friend don’t need to use rooted android phone because Network Spoofer app will work without rooted for victim. you just root your phone if you are not did already. So start Prank your friends with this easy guide now and have some fun and be happy.